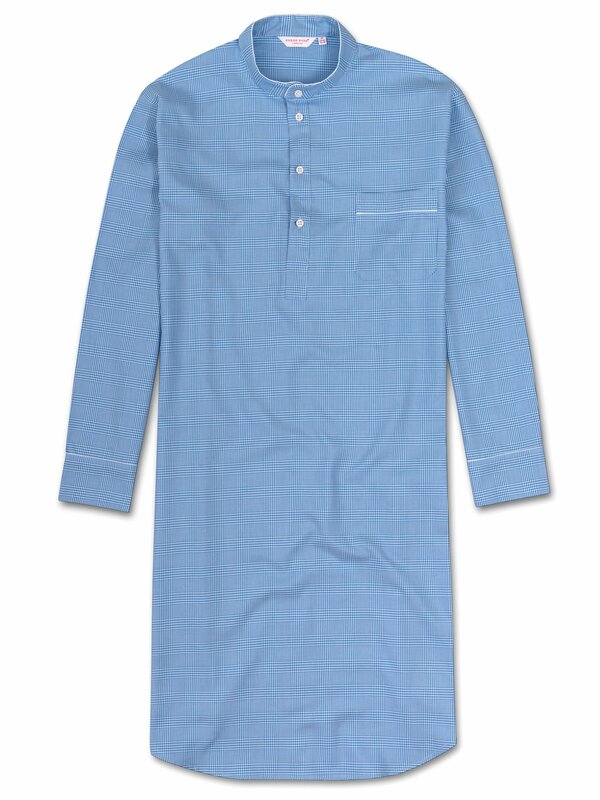 The check is a timelessly popular nightwear pattern, and for this season we have introduced this Barker nightshirt, featuring cool blues accented with a stripes of white. Made from a mid-weight cotton, this is a nightshirt that is ideal for the transitional seasons. One of the classic garments of the company, our nightshirt features a generous cut, for maximum comfort and freedom of movement. This 'pull-over' model has a collarless neckband, and is piped at the cuffs, pocket and neckband. The model in the photo is 6'1" / 186cm tall with waist size 32 and chest size 39. He wears a size M.